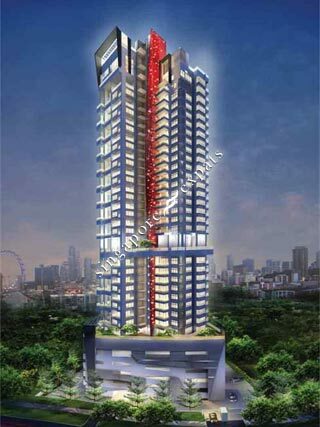 STARLIGHT SUITES is located at 11 RIVER VALLEY CLOSE in district 10 (Bukit Timah, Grange, Holland) of Singapore. STARLIGHT SUITES is a Freehold Condo development consisting of 105 units. STARLIGHT SUITES is completed / TOP in 2015 (estimated), developed by MEADOWS PROPERTY (S'PORE) PTE LTD.
Educational institutions like CHATSWORTH INTERNATIONAL SCHOOL (ORCHARD), ISS ELEMENTARY & MIDDLE SCHOOL, INSWORLD INSTITUTE, RIVER VALLEY PRIMARY SCHOOL, ST. MARGARET'S PRIMARY SCHOOL and ZHANGDE PRIMARY SCHOOL are near to STARLIGHT SUITES. STARLIGHT SUITES is accessible via nearby SOMERSET, FORT CANNING and DHOBY GHAUT MRT Stations. City living, near Somerset, Orchard, Central Business District and Marina Bay Financial District. Near Somerset MRT Station, Shopping Malls, Central Business District, Marina Bay Financial Centre, fine dine and wine outlets, amenities and much more. Located near Central Business District. Close to amenities, entertainment, famous eateries, fine wine/dine and Great World City. Popular location within the expats community for it's riverside fine dining, wine and evening entertainment.